If you were to walk through Francesca and Michela Cirelli’s winery in Italy’s famous and beautiful region of Abruzzo, you’d perhaps be forgiven for thinking you’d stepped back in time. It seems that’s kind of the idea - these talented and prodigious winemakers have made a serious point and a successful career out of doing things the old fashioned way, and that means no chemical intervention whatsoever, and an approach to the land that is about as holistic and integrated as it gets. Cirelli isn’t just an organic winery, you see - it’s also an organic arable farm, and it produces olives, figs, garlic, and high quality geese, too! Despite their sidelines in other types of farming, wine is really at the heart of the Cirelli operation, with the vintners taking full advantage of their stunning terroirs, which are found in one of Italy’s premier viticultural locations. Montepulciano is planted across Italy, but achieves greatest expression in Central Italy, and indeed the greatest wines of all come from the eastern coast - the region of Abruzzo. Here it's colour belies its strength - pale wine of power and dryness that are built for the dining table. 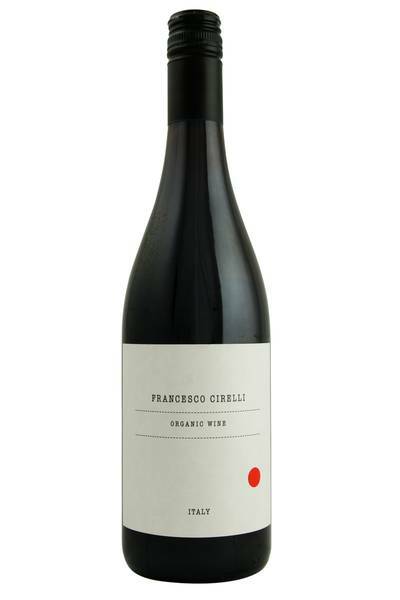 Cirelli's organic, unfiltered example is an absolute belter. A nose of dried red fruits, with hints of balsam and leather, also exhibits some trademark oregano herbaceousness. All gentle so far, but savoury. Montepulciano wines such as this one from Cirelli are really interesting when it comes to food pairing. 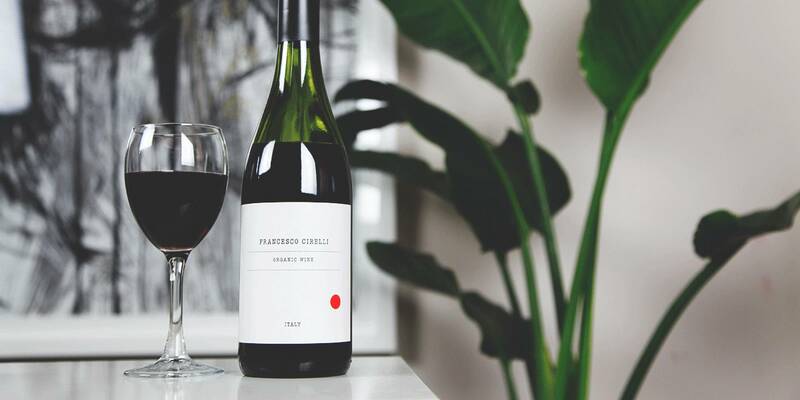 They tend to have more acidity than many medium-bodied red wines, which makes them capable of taking on fairly big flavours - even beef brisket and other ‘pulled’ meats which are currently en vogue. They tend to be paired with rustic Italian food from a similar region, which seems to really do the trick and would be a great idea for this organic number, so think Tuscan sausages, bean stews and roughly minced meatballs in tomato sauce. Keep it homely, and don’t be afraid to go big on flavour!